The past three days I've been on a foodie roll. My wallet curses me, my belly is giving me the *side eye* and my tongue has been saying "Thank you, Sweet Jesus!" The adventure started Thursday afternoon when I dined on an amazing salad from SweetGreen. I love this restaurant's concept and you should check them out when you get a chance. I devoured the Chic P salad within minutes. 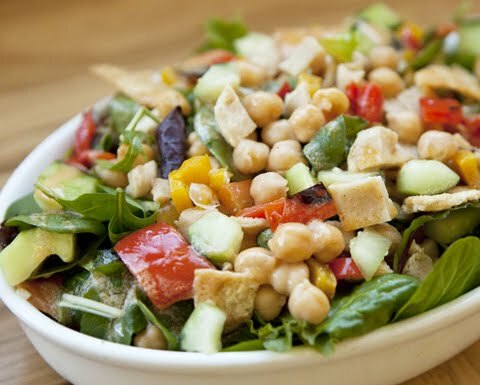 A vegan salad with Falafel, chick peas, veggies, and a lemon hummus tahini dressing. Later, I was strolling through the Georgetown area looking for a place to dine when I came across Paolo's. I was attracted to their happy hour menu. $3 cocktails with awesome titles like Sir Kir Royal, Buttery Nip.ple, Toasted Almond, and Blue Hawaiian to name a few. For $3 I got a good buzz. Gold star for the bartender not watering down my likka. I ordered a second Nip.ple and asked the bartender for some chocolate syrup. The cocktail was 10x better with chocolate. Seriously, everything taste better with chocolate. For apps, there was several mouth-watering options such as fried mozzarella, prosciutto & arugula, and shrimp scampi. 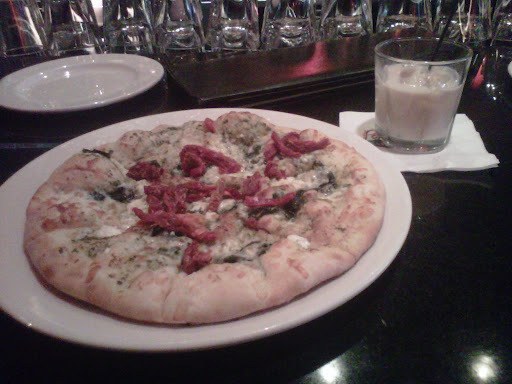 My dining companion and I settled for the Paolo's pizza with pesto and sweet red peppers. This was divine! I used my crust to soak up the remaining olive oil. I will def be going back. Afterwards, we ventured across the street to Neyla for some fabulous Mediterranean cuisine. A beautiful, cozy, intimate restaurant. Upon being seated, the waiter presented us some some baked pita bread with yogurt and olive oil to get us started. The pita was loaded with spices and was baked to a perfect crunch. Having already loaded up on half a pizza, I knew I wanted to just have a light dinner. Their Falafel filled the bill! I've been on a Falafel roll lately. Pun intended? It came with a spicy sauce which was a great compliment. My dining companion was a bit more hungrier and settled on a chicken entree with Jasmine rice. I didn't taste the chicken cuz I was in a "vegetarian mood" but the rice was off.the.chain. It was spiced with something that I couldn't quite put my tongue on. Cinnamon, perhaps? Nutmeg? Whatever it was, it was goood! Neyla gets a *side eye* from me though. What public business protects their tweets!? Seriously!? I just can't. The next day, DC gave us beautiful weather. A perfect blue sky day, with a crisp breeze for strolling. I strolled on over to Teaism to warm up. 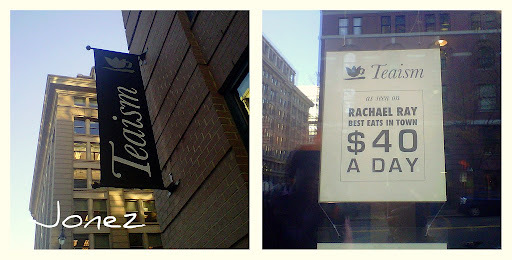 I was surprised to learn that Racheal Ray featured this cute place on her $40 a day show. Is that show still airing? I haven't seen it in a while. I was attracted to the lavender peppermint flavored tea and ordered a hot cup to enjoy. Sadly, this brew was a letdown. The lavender did not come thru at all. After more strolling around DC, I was ready for some chocolate! A friend was in town to celebrate another birthday and I promised Coco Sala. I'm so thankful my friend enjoys chocolate as much as I do! Having already been there once, I knew exactly what I wanted. I ordered the Chiptole Coco, hot chocolate spiced with hot peppers and fresh marshmallow, with a Coco Cupcake. 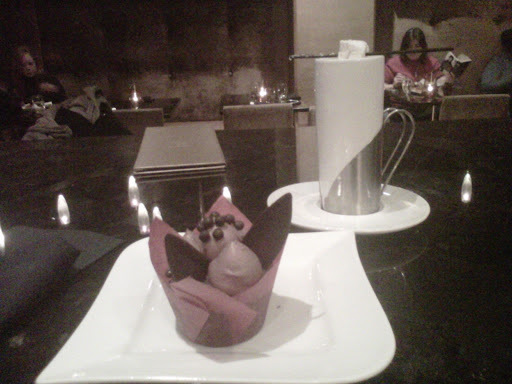 This cupcake is the bomb.com! Chocolate, with chocolate frosting, with chocolate candy, and chocolate balls. Yummy. yummy. yummy. So good, I ordered two of them thangs!! Real talk. I was comatose after that. I came home to a wonderful apartment smelling of cinnamon and cider. Turns out my roommate had spiked cider with rum, cinnamon sticks, and orange slices brewing on the stove. 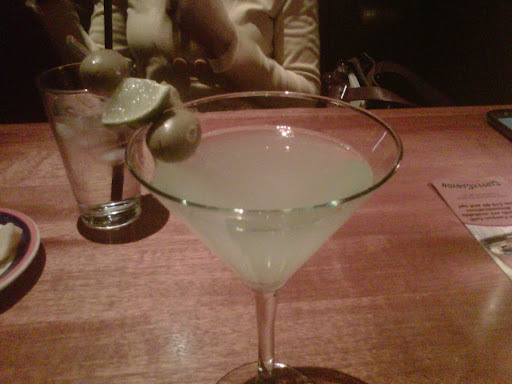 Saturday, Lisa Pizzeria had a groupon for Cooper Canyon and we were long overdue for a margarita date. What I love about CC is their signature margarita. They serve a generous portion - - as in a whole shaker - - with olive and limes. Yes. A good buzz indeed. To accompany our margarita, we shared Fiesta egg rolls and pulled BBQ Chicken sandwhich. Both were good. I was so into my dinner convo and meal that I forgot to snap a picture. Today... the adventure continues. We're soon heading downtown to check out the DC Metropolitan Cooking and Entertainment Show.